If you are looking for a campsite that is not to far to travel to, then La Croix du Vieux Pont may be one to consider. 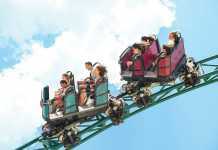 It has a fantastic range of activities and is set in the heart of the Aisne Valley which is easily reached form Calais. The setting is among rustic French farm buildings and boasts fantastic pool complexes and three on-site lakes where you can fish, canoe, or simply relax on a sandy beach. Catering for kids of all ages, they have an indoor children’s play area, a ten lane bowling alley and a laser quest centre. Good food facilities offering different cuisines, and also the fact that this is located nearby to Disneyland Paris, makes this an excellent convenient choice. 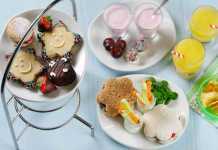 Depending on the time of travel they add special events throughout the seasonal calendar. Want to stay in northern Europe – why not try out Belgium? 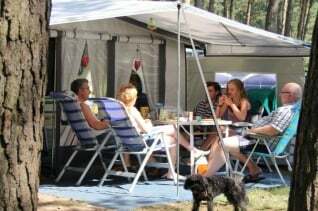 This attractive, quietly located holiday site Camping De Lilse Bergen has 513 shady pitches and you can either bring your own camp or camper van or rent all facilities on site. Set among pine trees and arranged around a large lake this camp has a Mediterranean feel. 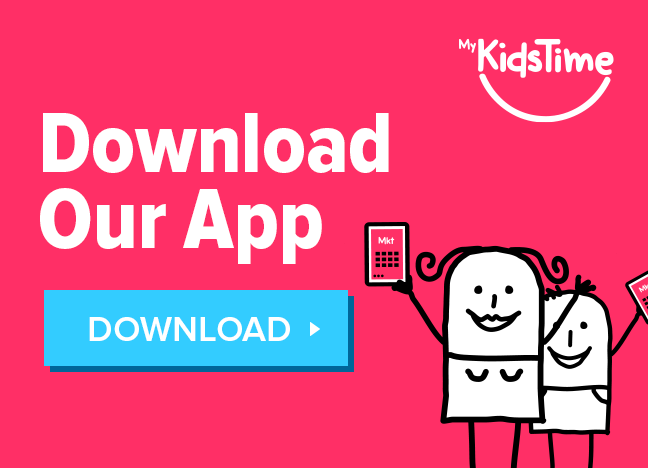 This site is really child-friendly with animal icon coding to enable kids find their own unit easily! Big on watersports and an imaginative playground, this campsite has wonderful picnic area and woodland walks. It also has tennis, minigolf, a climbing wall, trampolines and skateboard ramp! They also have pedalos, kayaks and for a charge they have bikes, kids electric cars and pedal kart tracks. Want to delve a little deeper into the south of France and try something quirky? 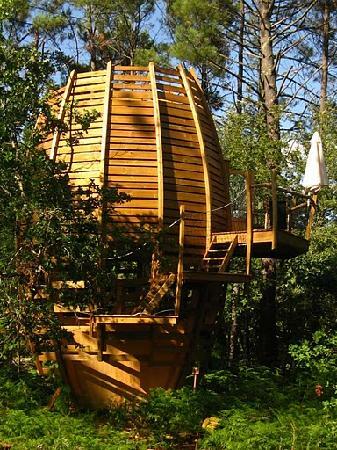 Then whisk yourself away to a holiday in a giant wooden pine cone Cap’ Cabane in the Landes forest just south of Bordeaux. The kids can experience sleeping under the stars as these rocket-shaped tree houses are built with clear roofs so they can stargaze at night. Each of these “cones” can sleep 4 people and is simply furnished with comfy beds. They have a composting loo on the ground floor but don’t worry, they also have full proper facilities in a communal hut nearby. A breakfast hamper filled with local produce is delivered to you each morning and at night, the on-site restaurant serves locally sourced organic meals. Cap’ Cabane is a great base to explore the chateaux region of Aquitaine or just hang out at camp, rummage through the forest and take a swim in the natural pool. 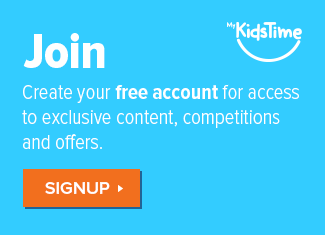 Sports and crafts are available for children during the school holidays. Get set for some stunning scenery! 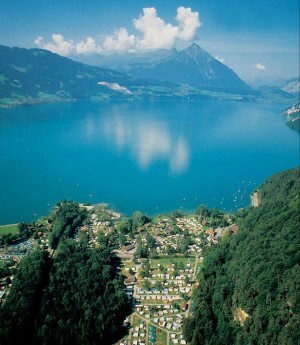 The Camping Manor Farm campsite is on the shores of Lake Thun, with views of the Eiger. It is less than 2 miles away from Interlacken which can be reached by the mountain railway up to the Jungfraujoch, the highest station in Europe. It’s great for watersports where you can windsurf, canoe and swim as well as enjoy all the other activities like table tennis, mini golf and trampolining etc! Enjoy natural beauty and scenery? Then Camping de Roos may be the campsite for you. Located a good bit east of Amsterdam, this spacious site has plenty of shady woodland, soft grassy pitches and a cool river to jump into on a hot summer’s day. The area around is flat so makes it easy to hire bikes for a day exploring. Table tennis, fuzzball and other games will occupy the kids on site but they also do some local exploring activities during the summer. Spain is firm favourite destination for many families but here’s a different way to enjoy a familiar destination. 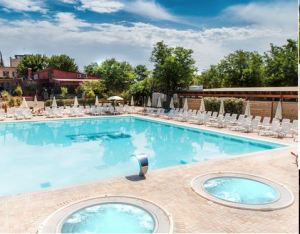 Set on a site in Costa Dorada near a sandy beach (free bus provided), the Vilanova Park campsite has the advantage of indoor and outdoor pools, a wellness centre, play area and supermarket. There is plenty to keep the kids busy and there is an on-site bar and restaurant set in a beautiful Catalan farmhouse. This campsite would be ideally combined with a city break to Barcelona; either by car, bus or train. 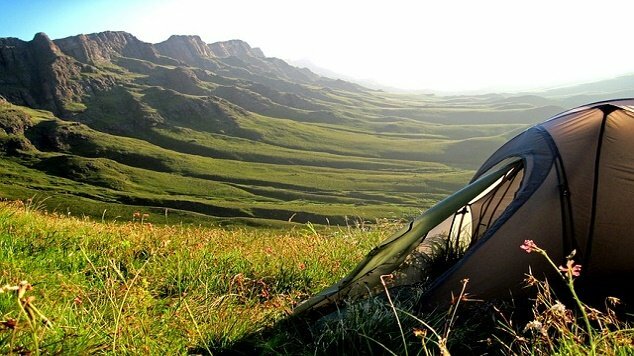 Ever thought you could camp in Rome? Well now you can! Once you have pitched your tent at Camping Roma, you are only 15 minutes away from this amazing city! It has a bus stop right outside the entrance so it’s a perfect base to explore the eternal city while having all the familiar family camping facilities. Its newly upgraded facilities include a beautiful pool; restaurant, grocery store, bar with sports screen, separate Internet room and inexpensive bungalows. Ikea meets war of worlds! This is definitely a treehouse with a difference. 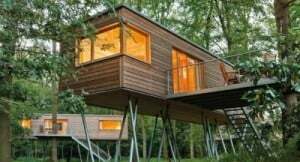 Raised 4 metre above the ground on steel legs, this forest retreat Hidden Treehouse is located in lower Saxony, Germany near the North Sea coast. Each cabin is decked out with slick Danish furnishings with under-floor heating and a large terrace that juts out into the trees. Ideal for active families, there are more than 200 miles of cycling and walking routes right on your doorstep. Nearby is the Go-Ape style high-rope trail through the 30m-tall trees while Lake Zwischenahner is a short drive away for watersport fanatics. Now are you someone who can’t bring yourself to camping outdoors? Well, here is camping like you’ve never seen it before. Canonici di San Marco is a beautiful family-friendly glamping lodge nine miles from Venice. This is a piece of colonial African style brought to you in the Venetian plains. 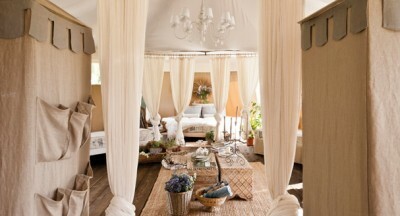 Luxury safari tents, decked out in an exuberant fashion – four poster beds, opulent decor, soft furnishings and vintage tubs are the order of the day. While you are unlikely to see any of the Big Five here, there’s plenty of space for wild children to roam. With Venice only a 20 minute journey by train away, you can really maximise the city culture while preserving your 5 star expectations! Over to you now. 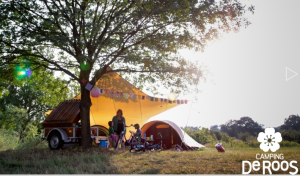 Have you been to an amazing family campsite in Europe? 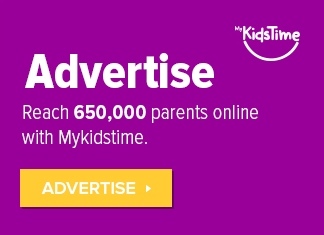 Share it with us in the comments below.